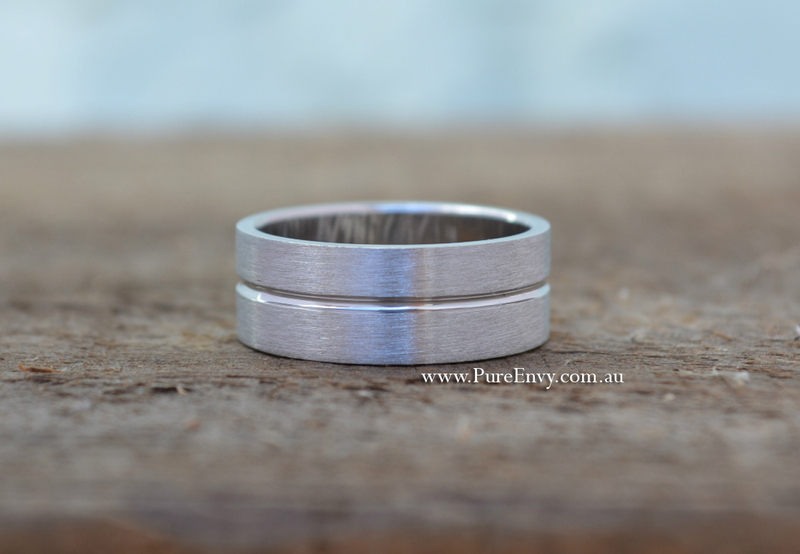 For those wanting a classic band with a simple design touch, this is the perfect choice. The centre groove in this band adds just enough interest. This is available in a range of widths and may be polished or textured. Choose from White, Rose and Yellow Gold, Titanium or Platinum. Pictured: White Gold in 8mm.